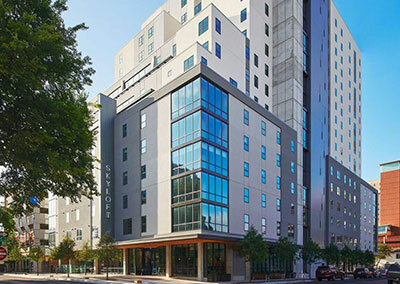 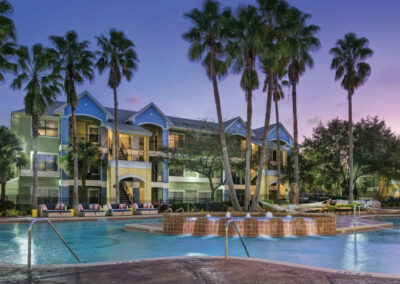 Campus Advantage was hired in February 2017 to complete the initial lease-up of a high-profile, new student housing development in Austin, Texas. 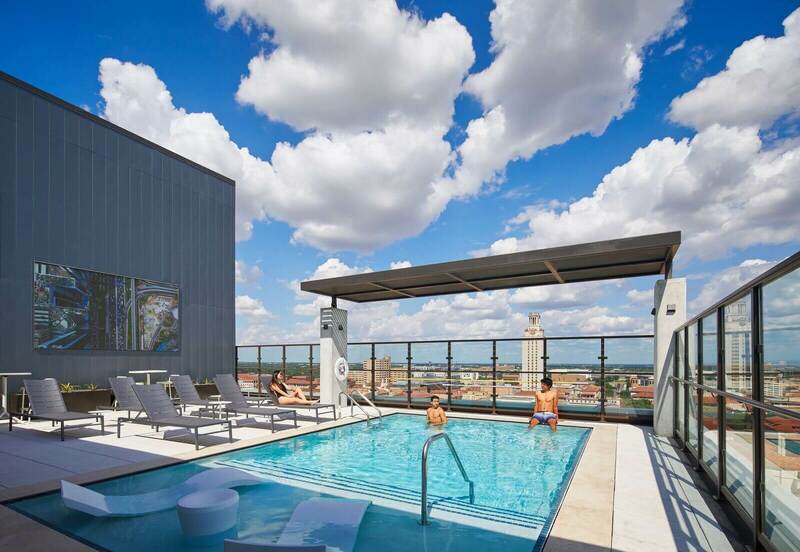 The 18-story, 674-bed property is located in West Campus, serving the University of Texas. 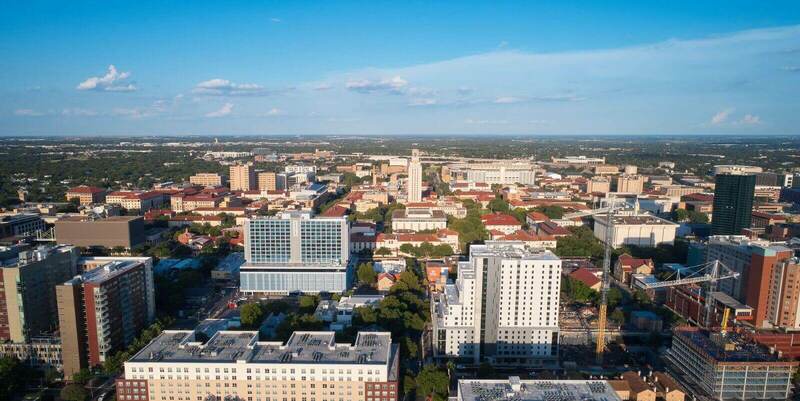 Catalyst, Campus Advantage’s marketing partner, was engaged to establish the branding for the asset and assist with creating strategic digital marketing strategies to set the development apart within the competitive University of Texas market. 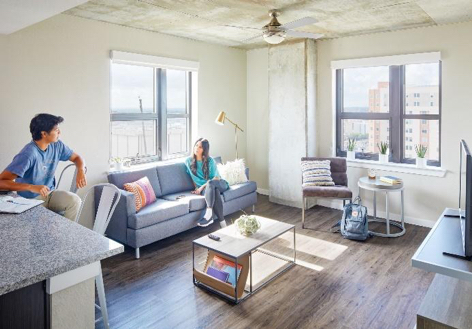 Skyloft was opening at the same time as two other new developments, so the brand needed to differentiate the project to attract UT students. 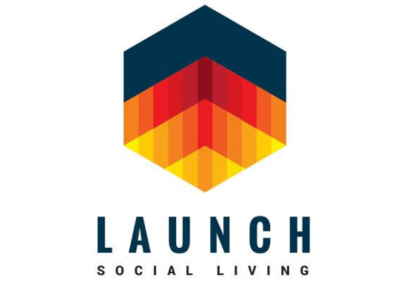 Campus Advantage and Catalyst worked together in the planning and execution of a brand reveal and launch party which led to a high number of attendees and market buzz. 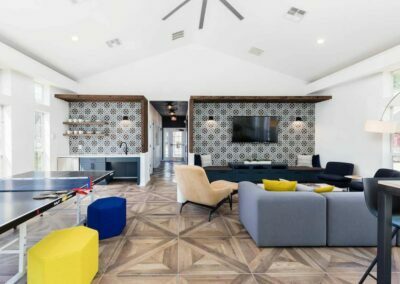 Additional marketing and leasing efforts included establishing a marketing street team, initiating an online VIP list to create excitement before kicking off leasing, and securing a competitive temporary leasing space. 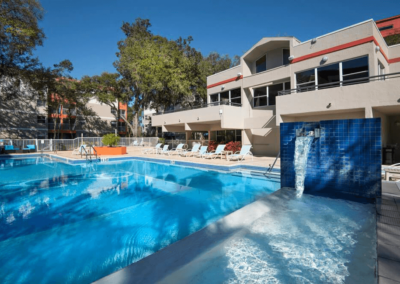 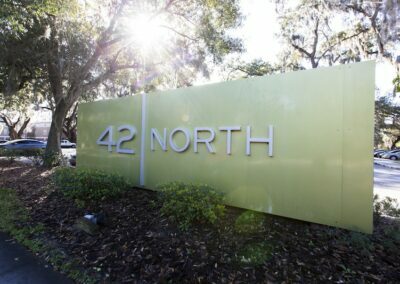 The property emphasized guerrilla marketing efforts coupled with unique, aggressive digital strategies including SEO, SEM, and social media meme campaigns to drive leads to the property during the initial key leasing months. 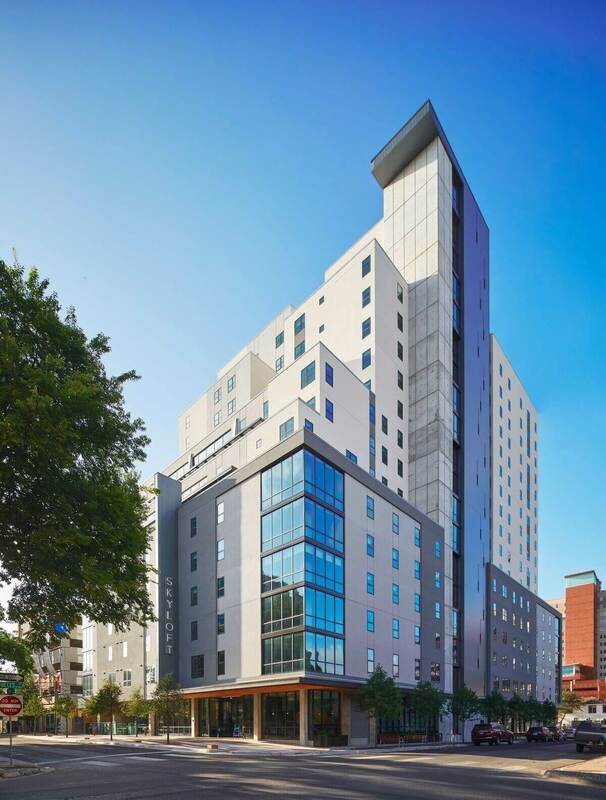 These combined branding and marketing efforts led to the development opening in fall 2018 at 100% occupancy. 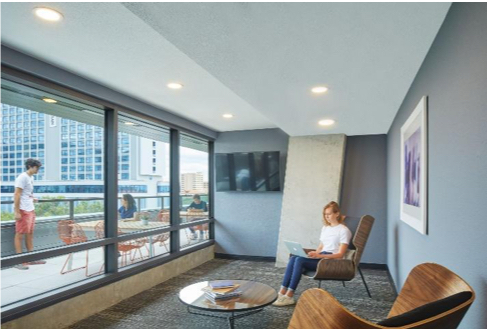 Campus Advantage has continued to provide property management services which includes oversight of property operations, marketing and leasing campaigns, creation of annual budgets and management plans, and delivery of the Students First® Experience residence life program.